Sergio Romero and his defence were standing firm until the dying seconds when Raoul Petretta's cross evaded everybody and Michael Lang nipped in behind Daley Blind to nudge in from close range. United, playing in the grey third kit, had assumed control virtually from the outset with the hosts offering little by way of goal threat. With captain Paul Pogba in commanding form, it was his wonderful through pass on 12 minutes that released Romelu Lukaku for the first real opportunity. The Belgian showed his strength but Tomas Vaclik was out smartly to make a top save. Marouane Fellaini provided a threat all night and met a Daley Blind free-kick with a header that flew wide. Pogba fired a set-piece off target after being fouled in a promising position, with Dimitri Oberlin's wayward free-kick from slightly further out summing up a frustrating half for the Swiss side. Although the home fans were upset with a few close calls by referee Daniele Orsato, United had a stranglehold on the match and should have scored before the interval. Anthony Martial's cross invited the finish from Fellaini but the ball only skimmed the head of the Belgian and clipped a post when proper contact surely would have resulted in the opening goal. Moments later, Martial sped onto an Ander Herrera pass down the left and outstripped two defenders, only for Vaclik to divert the shot from a tight angle behind his goal with a one-handed save. The Czech Republic keeper could only watch, soon afterwards, when Marcos Rojo unleashed a full-blooded drive from distance that deflected against the bar with the keeper well beaten. 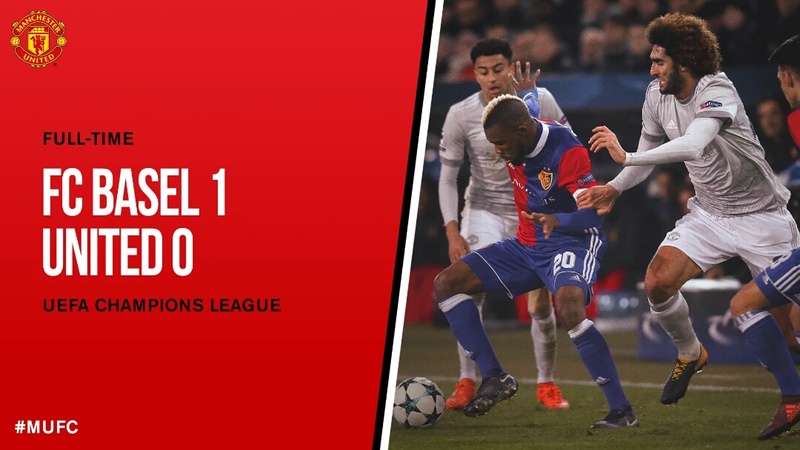 Renato Steffen's dangerous cross instantly suggested Basel would offer more of a threat in the second half and that became the case. After Lukaku headed wide from a Martial centre, Serey Die latched onto a vital clearance by Fellaini, to let fly with a drive that, thankfully, had the power but lacked accuracy. Steffen then enjoyed a real purple patch, forcing Romero into a couple of saves, the second time from a deflection off colleague Oberlin, and cutting inside Daley Blind to bend a drive narrowly wide. 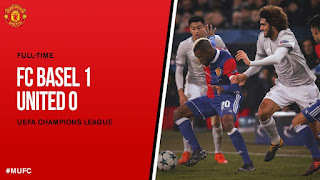 Pogba had a well-struck effort held by Vaclik before being substituted and Basel went very close when Michael Lang headed against the bar and Mohamed Elyounoussi's follow-up was kept out by Romero. There was a scare when Steffen went down under a challenge from Rojo and, after some deliberation, the referee decided not to award a penalty. Oberlin had a shot blocked and substitute Marcus Rashford sneaked an attempt into the side-netting as the game really opened up.